The 5:2 diet is quite possibly the most popular diet at the moment with the UK, US, Canada and Australia based media organisations ensuring that it is kept high profile. Not that any diet can claim to be guaranteed but virtually everyone who has stuck at the 5:2 diet for a month or so has seen positive results. The hardest part it would seem is sticking to it – the days when you have to be very restrictive in what you eat can be tough. This is where the 5:2 Fast Formula comes into the equation. It is essentially an appetite suppressant that can help to overcome hunger. Appetite suppressants are arguably the most effective diet pill genre in existence. While other forms of diet pills attack fat cells, prevent carbohydrate absorption or reduce water retention appetite suppressants tackle the cause of the problem and result in sustainable weight loss that is permanent. While some diets and diet products have high failure rate – those that are associated with suppressing appetite or reducing daily calorie consumption have an incredibly high success rate. If you have been dieting or researching what diet or diet product to use for even the shortest period of time then you almost certainly have come across the 5:2 Diet. 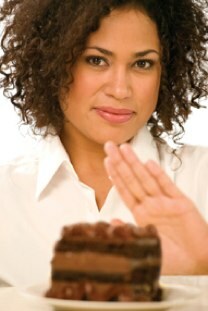 For those that haven’t the 5:2 diet is based on the principle of intermittent dieting. For 5 days in every week you eat reasonably normally but for 2 days you restrict yourself to 500 calories (for women – 600 calories for men). The weight loss benefits and associated health benefits of regular fasting are huge. The 5:2 diet was really brought to prominence by British medical journalist Dr Michael Mosley. Dr Mosley devised the FAST DIET a new slant on the theme. The original 5:2 diet was in fact even harder with the fasting days meaning absolute fasting – absolutely nothing for 2 days of the week. Michael Mosley is often seen on the BBC, he has had a number of award winning documentary’s filmed together with the Horizon team. Michaels documentary’s often feature self experimentation. For all the positivity and plaudits that the 5:2 diet (and the Fast Diet) has received it has had its critics. One piece of negativity that is often levelled at intermittent fasting is could you be denying your body of valuable nutrients and minerals during the fasting days. The other obvious question is how to resist the temptation to eat. Although most 5:2 diet plans have a menu suggestion for the fasting days some dieters cope better with restricting calorie intake than others. 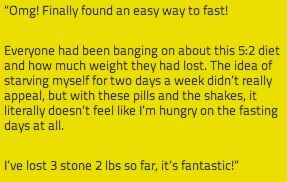 This is where the 5:2 Fast Formula helps. It is a simple capsule that is taken twice a day – it reduces appetite significantly and helps you the dieters to overcome temptation. The key ingredient is Konjac root – it is natural substance that has been scientifically studied for many years. Konjac can slow the absorption of sugar and cholesterol from the digestive tract. This in turn can help to regulate sugur levels and delay gastric emptying. The other ingredients include minerals such as copper and iron as well as B vitamins – these are often lacking in most calorie controlled diets. 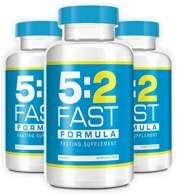 If you try only one diet and one diet product try the 5:2 Fast Formula in connection with the Fast Diet. Available exclusively from its own official website. It is available in many languages and has a 60 day money back guarantee.